Centennial’s Sr. 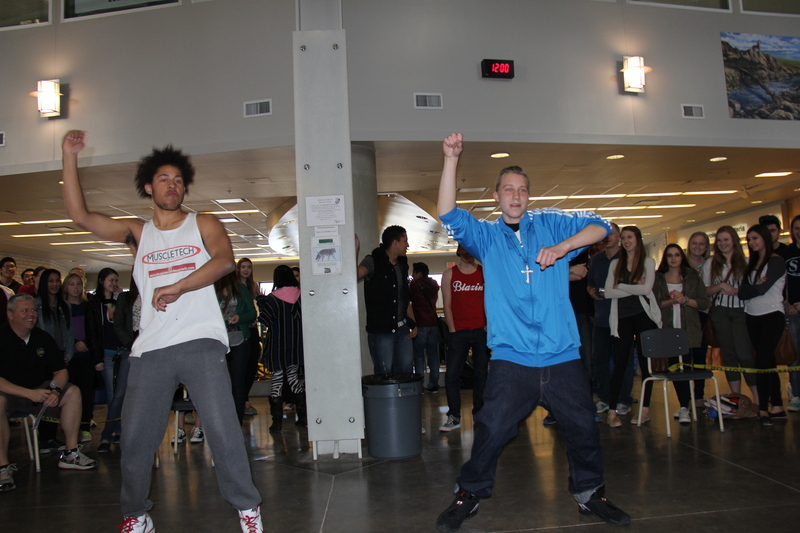 Leadership class ran a fantastic Lip Sync Battle last week. This was based on the Lip Sync Battles you can find on Jimmy Fallon’s show. We had 6 students and a teacher participate. There were lots of students watching and we conveniently forgot to declare a winner :). It was also a great learning opportunity. The group planning the activity were very committed. They had challenges finding participants as well as dealing with when some dropped out. Aaron and Adam, part of the planning group and pictured above, stepped up the day before to fill an empty spot. They practiced all class. Nobody does a better lip sync to the SugarHill Gang than them. It was a good day for this leadership advisor. I saw leadership skills grow, kids coming through about something they are passionate, and the school having fun.